The Most Memorable Adventure Days Out In The UK! I may be online most of the time but I am busy building the blog traffic for all my blogs or I am busy facebooking. I seldom update my blogs. In fact I do have some task to work on but I choice not to work on them. Laziness strikes in again and I am feeling blue for the past couple of days for no valid reasons. Yay!!! Must be the hormones? Anyway, since I have been hibernating in the blogosphere and my blogs has been stagnant for almost a week it’s high time to posts an update and work on my tasks. I recently got an offer with a bigger payout compared to the regular payout I usually get. I only hope that my brain will be working and will get along with me. I want to be productive Friday. And, well, I wish for some blessing to pour in my end. Holiday budget is not enough yet. On the other hand, it’s a holiday. The little one will have a long weekend. He will playing a lot for sure. The UK is full of opportunities for adventure days. Provided below is a summary of two classic types of day out: paintballing and quad biking. This article also introduces two relatively new concepts: coasteering and archery (though admittedly the latter has been around for centuries). Providing one of the most exhilarating adventure days out around, paintballing centres are now commonly found all over the UK. You just dress up in full camouflage gear and shoot each other with high-powered paint guns. Paintballing is usually very well organised and during the day several different missions and objectives will be arranged, usually consisting of two teams competing to reach a target or steal an object from each other. Safety gear is issued by the centre and wearing it is strictly enforced. Children under 13 are usually allowed to paintball, but they must be accompanied by an adult at all times. Children aged between 14 and 16 must have a responsible adult somewhere on the site at all times. Rules will vary from centre to centre, so you should check when booking. Paintballing is one of the most popular family days out in the UK at the moment and the activity continues to grow in popularity. Quad bikes are powerful four-wheel-drive vehicles designed to cope with virtually any terrain. Quad biking makes for a great family day out and is also popular with the stag do market. Specially designed courses represent a range of challenges and usually there are easier routes for beginners and more difficult routes for the more experienced or brave. Age restrictions will apply, so you should check this before you book. A day's biking is usually very affordable, especially when booked as a group. Coasteering is growing in popularity and more and more coasteering days are coming to market. It involves exploring the shoreline either by walking, climbing or swimming and involves a lot of very physical activity, so it isn't for everyone. Part of coasteering can be jumping from rocks into the sea and your instructor will let you know when it is safe to do so. The rest of the time you'll be scrambling, swimming, climbing and generally exploring the coast in ways that only coasteering allows. Coasteering offers an exciting day out and gives you a unique view of the beaches and cliffs in Britain. It is great fun to do with groups of friends or with family. Safety equipment and expert tuition are usually included in the price. Archery days are becoming more common and make a great family day out, especially for competitive families. Days often consist of firing compound bows (your classic bow and arrow), longbows and even air rifles. You will receive expert tuition and if you book in advance, many archery centres will organise special competitions tailored to the age range of your group. Although bows are available in many sizes and are suitable for all ages, archery probably isn't suitable for children under eight; however, you may want to ask the archery centre when you book if they have any special provision for younger family members. This guest post has been written by Zoe on behalf of Knowsley Safari Park - click here for more info on this great day out for all the family. Good morning folks! It’s another busy day for me. I am glad that my offer was accepted in the newest paid to blog website that I recently joined. I am keeping my fingers cross that my other offers will be accepted also. As I have mentioned many times I need to save as fast as I can for the holiday. Anyway, I thought I stay up late today as I slept very late last night but I was wrong as I woke up early. There is no reason to get up also as I don’t need to prepare the little one I going to school. They don’t have classes today and on Friday. Well, I just take a nap later today. On the other hand, I wake up having an allergy. I am sneezing and blowing my nose early in the morning. I don’t know what trigger my allergy today but I guess it’s the smell coming from the neighborhood someone is burning a plastic and the smell is getting into my nose. Oh! What's my blog title? I could not think of a good blog post title eh. In what seems like a wink of an eye, a year is almost coming to an end and most of us are already planning for Christmas parties and making lists of new year resolutions. The end if a year marks the beginning of a fresh year and amazing new opportunities. Different people choose to welcome the new year in different manners and there are some who choose to give their homes a facelift this coming year. If you're thinking of doing so, you might want to take these few factors into consideration before choosing to renovate. • The revisions you make today will last for many years ahead. Therefore before deciding on a particular mode of renovation, be sure to research well so that you're confident that you've made the right choice. • Size matters. Before you decide to change the cookout of your walls, or add in new furniture, you need to remember that small changes could lead to huge differences. If you have a room in your home that is smaller and much cramped up composed to the others, you could balance this deficiency in size by choosing light or bright colors. Mirrors do wonders to give that illusion of added space so you might want to consider getting decorative mirrors to line your walls. • Always compare prices. It is important that you not only get something that you're going to be happy with, but make sure you've speed around for the best deal if you'd like maximum satisfaction. • Meld appearances with practicality. The security of your home is not to be fooled with. When making decisions think also of increasing your home security. Roller shutters are good options to protect your belongings because only the holder of the remote can access these doors. roller shutters from nationwideltd.co.uk promise excellent practicality and function. Besides that, the company also ships high quality awnings that provide marvelous shelter and looks good as well. Woot!! I am almost done of my online thing this morning. I also half way finish visiting the ComEx participants for this week for my second blog. So far I have a productive week, having publish few articles from direct advertisers and starting to enjoy the reap of my labor in visiting other blogs is really rewarding. Anyway, I actually don’t have any exciting story to share in here. I just feel the urge to update this blog before I will publish another paid post. I would say, this blog has been gaining some profit since the alexa ranks gets down and I am hoping I continue to receive some in the next coming days to cover some of the expenses I need for the holiday seasons. With a lot of extra expenses that I and the boyfriend spent I will have a tight budget for holiday shopping this time around. So my paypal saving will be a big of help. There are many ways in which to present your feelings towards that special someone in your life. Whilst there is no one way that will appeal to one and all, there are a few tips that you could follow if you’d like to express your feelings to that special person in your life without appearing to be overdoing it. Different occasions call for different celebrations, and the trick is in getting these combinations right. Flowers are one of the sweetest gift ideas , and the gesture of giving a special someone flowers has been practised even from decades past. There are no instances in which flowers are not a suitable gift. They’re perfect for occasions such as casual visits, or a romantic date out, or even when you’re visiting a friend who is feeling blue on that day. Before you decide on getting a gift, think of surprising that special someone with a bouquet of her favourite flowers. Gone are the days when you need to personally run down to the stores and grab a bouquet of whatever flower is available.Roses at Interflora are fresh, and wild in bloom. The best thing about ordering flowers online is that you don’t have to settle for the flower of the day. You can always pre-book your bouquet way ahead of time, so you get her favourite flowers every time. Flowers from Interflora are not only abundant in choices and colours, they offer both same day delivery and next day delivery. This means that you will no longer turn up at a special occasion empty handed. Surprises are always sweet when they’re well thought of. Planning for a surprise can prove to be a lot of work, but when you see the sun shining in the smile of your loved ones, it makes all the past work priceless. So, how is your weekend so far? As for me, I was at the mall with the little one, my sister in law and my nephew. Window shopping is all I can afford to do as of now. I do hope that I’ll have the budget for my nephews and nieces before the month ends. I still find some good deals on children clothing which is good as I am in tight budget this time around. Apart from buying clothes for the children I still need to make a list for my godchildren. I still you. I have a lot of godchildren. I still need to roam around for gift ideas, something that can be of use to the receiver. I will have a busy weekend ahead of me; I have a lot to do online. I am not yet done visiting the participants of this week Comment exchange. I only have two days left to finish commenting in all the participants. I will try my best to get it done tonight or else I will be cramming tomorrow. On the lighter note I will be working on the tasks I got from a direct advertiser. She offered few tasks to publish in this blog. I always smile from ear to ear whenever I get a message from a direct advertiser for it means extra income. I really need increase my saving for the holiday season. With the right and left extra expenses that were shouldered by my boyfriend I want to help him with my holiday shopping in my own little way. Furnishing a new home can be both a delightful and stressful task. The home fixtures that you choose at the end of the day should not only be functional, the ideal solution would be to seek for furniture and appliances that reflect your personal tastes and lifestyle. Unfortunately, sometimes it might be easier said than done when it comes to purchasing just the right appliances. There are a myriad of factors to consider when making these purchases. Fortunately, the internet has made things much easier than they once were. The best thing is that you not only get a great deal of choices from which to choose from, there are tons are value deals out there up for grabs. For instance, a washing machine found at Appliances Direct could cost as much as one third of the price of machines sold in most departmental stores. A fridge freezer from appliancesdirect.co.uk might surprise you with a small price tag for the amount of fridge space you’re getting. The same thing applies to most of the appliances that are available on the website. The website is a haven for both bargain hunters and people with an appreciation for a good deal. If this is the first time you’re tasked with the job of furnishing an entire home, the task itself might be more daunting that you first imagined. Here are some ideas for you to get a headstart before you start shopping. Look for items that will be both practical and reflective of your lifestyle. If you’re a newly married couple moving into a new home, you might want to skip the industrial sized freezer and aim instead for a cozy sized fridge that will meet your needs. Try to go green with your purchases. Energy efficiency is a heavily weighted factor when it comes to evaluating a product, so look out for these when you’re making your choice. An energy efficient appliance will not only save you lots in electricity bills in the long run but also reduce the carbon footprint of your home. You’ll be saving both your money, and the earth. 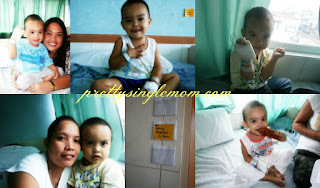 This is an overdue post, an update of my nephew’s health condition. As I mentioned in my previous post the nephew was a dengue suspect as per his doctor told his doctor told us. My sister is also worried because of dengue cases in their place. But after the Dengue NS1ag and Antibody Combo laboratory his doctor announced us that he is free from dengue instead she told us that the nephew is having UTI (urinary tract infection). The nephew’s stayed at the hospital for five days and continue his medication at home. He is taking antibiotic for the infection. I am just lucky to have a wonderful and generous boyfriend for he helped us financially, in fact he paid everything. I won’t complain if I’ll have a tight budget for Christmas as he has been spending quite a lot of money because of unexpected expenses like my mother’s hospitalization and lately my nephew. Anyway, am sharing few photos of our happy patient. Who would have though he is sick as he still smiles on the camera. Children are nurtured from the day they are born, but it is important to teach them life’s lessons, in order for them to grow into confident teenagers and, later on, adults. Children are greatly influenced by what they observe around them. Parents or guardians are unknowing role models, as children absorb absolutely everything! They must know that no one, absolutely no one, is perfect. People are moulded individually through life’s experiences. During their lifetime, your child will come into contact with a broad range of personalities, but if they have reliable guidance from a young age, they will understand that this is their life and it is up to them to determine what it will be. Responsibility can be taught at a very young age. A first lesson can be picking up their toys. Make them responsible for any mess created through play and they will generally understand that they are responsible for their actions. This is a very rewarding trait to encourage and will stay with them their whole lives. Children are very impressionable. Life is one big learning experience for them. Confidence is an attribute that will carry them through life’s challenges. Children with no confidence in themselves tend to have low self-esteem and low expectations which can turn into resentment later in life. Teaching your child to be confident is a wonderful lesson but just make sure they do not get overconfident. There is a fine line and as a care giver, you should be aware of this. Teach your child that it is all right to make a mistake. When they know they are wrong, they should admit it and apologize; Let them know that even parents make mistakes. The world rushes by daily, but it is important to sit down together as a family to discuss the days’ events. Make time to listen to your children excitedly relaying to you stories of their day. They in turn should learn to listen to others. A family unit will go through many hardships and emotions together. These are the things that bind them together. Make sure you set aside time for fun outings like going to the park or the beach, fishing or bowling. These are memories to be cherished by all forever. From the time children get money as a birthday gift or they start earning pocket money for household chores, teaching them about money will encourage them to make mature decisions. It is important that they learn how to budget, how to save, how to spend and how to manage money.http://www.foxsymes.com.au/is full of useful financial tips to guide youngsters in the right direction. Professional staff at Fox Symes can take your child through a range of options to set them up financially. Technology is an amazing thing but we need to instill in our children behaviors and values that will ensure they grow into well-adjusted young adults capable of dealing with what life puts in their path. It is the guardian’s responsibility to teach practical life skills to their little ones. Children sometimes believe they know everything, so gentle encouragement will teach them to respect others and be patient and understanding. These invaluable lessons will take them a long way. Tara Blair is a Personal Finance, Family and Travel Writer from Australia. She says that these 5 things are among the most important things you can teach your children while they are young to assist them later in life. I was physically tired when I arrived home last night from my sister’s place. As much as I want to stay online and do my thing online I simply can’t stay longer. I have to finish a lot of things today and over the weekend. On the other hand, Thanksgiving is not celebrated in my country but I’d like to take this opportunity to thank all the blessings that bestowed upon me. I may have stumbled some curveballs but I believe its part of making me strong and strengthen my faith to the Man above. I actually have a lot to be thankful of, like waking up every morning, health, the little one, my boyfriend, my family, my friends and the people who make me work harder. So, Happy Thanksgiving to all!!! Many women will agree that budgeting for a baby is very difficult. Furthermore, getting maternity clothes online can be a tricky affair. The best way to budget for a baby is all about trade offs. This means that you should not rush buying new item when you see them. NO! Do not be in a rush and take things slow. Apart from these, there are other great ways you can save money on postnatal underwear. You can budget for maternity clothes the same way by deciding where you want to spend and where to save. There is a big difference between maternity clothes and nursing clothes. Maternity clothes are also known as pre-natal clothes. These clothes are worn before the baby is born. It is important to select maternity clothes that are stretchy during this period. Nursing clothes are known as postnatal clothes. These clothes are worn after the baby is born. These clothes have their own designs as compared to maternity clothes. What are the ways to save money on maternity clothes online? To women who work in the offices, and they want to look polished, it may be a challenging task to do that. This is because you cannot wear shoes that have heels. Therefore, the best thing to do is look for a more professional maternity wear. Moreover, these designs are the most affordable ones compared to other designs. To pull out this point may be a little bit tricky. It requires someone who thinks ahead and can save money for long without spending it. For example, if you find that you are pregnant in the spring, you can start buying cold weather clothes. During this time, the prices will decrease and other stores will even offer the same products at a much-discounted rate. When you are at home, instead of buying maternity clothes online for staying at home, you can use your old ones. However, your belly might be visible but who will ask you? You are at home. When you are looking for maternity clothes online or postnatal underwear, make sure that you compare prices before buying them. The best way to do that is by looking through all the prices on the first day and on the second day, you just buy the items you found at an affordable price. Majority of women go wrong on this point. Many of them will buy all of them at once, however, they do not know if their bodies will change in shape and size. If they do, it would be like a waste. Yay! I have another few task coming for this site. I got an email last night from a Direct Advertiser, she has three copy paste for this blog. I still waiting for her next email containing the post she is going to publish here. I am thankful and grateful to the MAN above for all the blessing that coming my way. There are some trials that come my way but I know he won’t give any that I cannot surpass. I do have a lot of things to do online but I will be off for some hours as I am going with my younger sister. She is going home today. The plan were to stay here until Saturday for the follow up check up of my nephew but because her hubby is working and no one to take care of her other kids she opt to go home and be back on Saturday. I hope the nephew is clear then. With the holiday season coming in few weeks I am pretty sure some of us are already searching of what to give to our loved ones. Truly, finding the right gift can be daunting but if you know the person finding a good gift is not really easy. If the person loves outdoor activities then perhaps you can give the person something that he/she can use on his/her outdoor activities. If the person is into music instruments and you’re not in a tight budget then you might want to give that a person an expensive music instrument such as double bass. I am pretty sure the person who will get to have this kind of gift will have an ear to ear smile. Right? As can noticed I’ve been waking up very early in the past couple of days. Often, I tired going back to sleep but I can’t so I will just start doing my online thing early especially now that I was at the hospital to take care of my nephew who is sick. So as early as 4 in the morning I am trying to finish the blogs I need to visit yesterday. My nephew is awake and wants to be carried so he is sitting in my lap while I am typing this blog post. My Nanay is not feeling well so I let her sleep more. After I am done posting this blog post I will start doing the undone tasks I have in my all time favorite site. Paco Rabanne is a fashion house company that was founded in 1966. The company is very know for its different fragrant that it has for both women and men. Majority of people came to know about is in the year 1969 for its famous perfume called calandre. The company made a lot of fortune with this perfume. From there, they have been the creating unique modern bottles and boxes for their products. Their female Paco Rabanne perfume is truly contemporary, modernly graceful and ultimately feminine. Moreover, their male Paco Rabanne perfume and colons have been formulated in a way to bring out the Woodley, refreshing and moist fragrance from men. To those who have vied their products, they will concur with the above statement. Paco Rabanne perfume is an amazing product to have. In total, there are 45 different perfumes from this company. Each year, the company must release a new product into the market for their consumers. This may keep you wondering, what will they release next year? Well, no body knows. We have to wait and see. The Paco Rabanne lady million absolutely gold is the product that was release this year. The product has a stunning gold color. The Paco Rabanne lady million absolutely gold has two models, one is for men and the other one is for women. 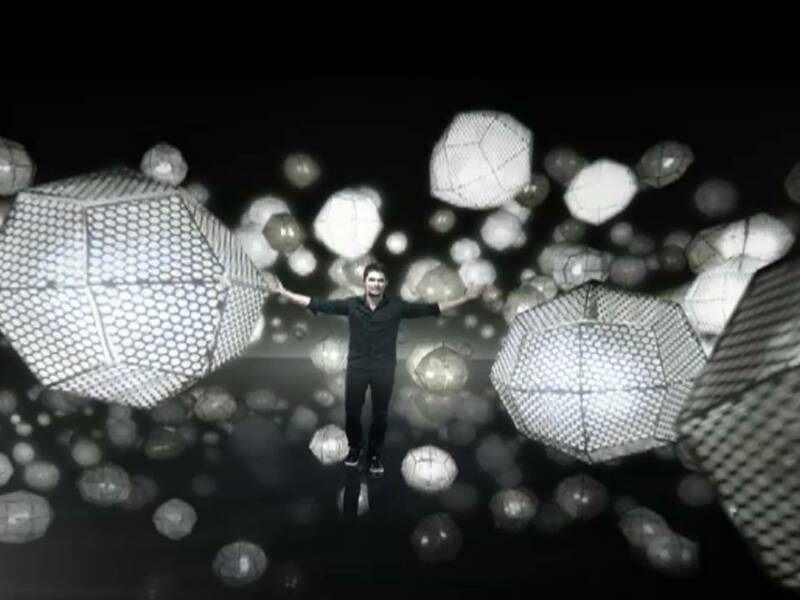 If you get the chance to see the product, you will wish to have it. The bottle design has been created to give some sense of class, luxury, and attractive. The bottle has a diamond shape and the color of pure gold. However, the bottle is the only best thing about this product. What is inside is what will make you buy even more. Shopping is easy for this product. Paco Rabanne perfume is very popular and readily found in any store. It will not be a big deal if you found this product in your favorite store. However, when it comes to pricing, it may be expensive. However, there is a way to get these products at a much affordable price. Well, if you are wondering how, then worry not. You can get these products online and a Discount perfume shop . All you require is a computer and a data connection. You will also need a payment method. Furthermore, you will get your product at home as an advantage. Paco Rabanne perfume is guaranteed to keep you cool and active through out the day. Feel confident wearing its elegant, spicy, lavender and amber aroma. All you have to do is select your favorite and get it. You can also try out the new paco’s perfume. Good morning! I woke up at exactly 3:45 in the morning. You may wonder why I am already awake in this wee hour. Well, I actually need to prepare the formula milk of my nephew and after feeding him I could not go back to sleep. Yes! We have a baby in the house. Yesterday I have mentioned in my other blog that I am going to meet my younger sister in the city. The reason why I am meeting my sister is to assist her with the kids since the other nephew is sick and is currently admitted in one of the hospital in the city as per his pediatrician’s advice. The reason- he has been a running high fever for five days. The fever will go down an hour after taking the medicine but after that the fever will go back. Good thing my sister decided to bring my nephew to doctor as he is a suspect dengue case. I am not sure with the result yet but I am hoping it’s another way around. I am praying that he will be discharge soon. If you’ve been diagnosed with high blood pressure you may feel panicked or let down that you allowed your health get out of hand, but instead of wallowing over what is already done, why not do something about it? There are many natural methods that can help lower your blood pressure, from losing weight to taking natural supplements such as co enzyme q10. Don’t allow your blood pressure to dictate your health – show your blood pressure who is boss. Lose Some Weight – Studies show that just by losing ten pounds you can lower your blood pressure. The more weight you lose, the lower your pressure will become. As you lose more weight the medicine you’re on for your high blood pressure will also be more effective. Figure out a target weight that will work best for you and plan on achieving it. In time your blood pressure will lower and you’ll be proud of yourself for all of your hard work! Take Co Enzyme Q10 – Co enzyme q10 is known for increasing energy production in your heart muscle, which in turn increases the strength of the energy that is pumped to your heart. With more strength to your heart this also will lower your blood pressure because Co enzyme q10 also helps with other symptoms of high blood pressure, such as having difficulty sleeping and experiencing shortness of breath. Increase the energy that goes to your heart and your blood pressure should improve over time as well. Exercise Regularly – If you aren’t currently exercising at least a half an hour a day start making small changes now. Studies show that just after a few weeks of regular exercising that your blood pressure will gradually lower. If you’re unsure what exercises are okay for you to participate in due to your weight or a heart condition, ask your doctor. He or she will be able to help you come up with a proper exercising schedule that will allow you to reach your goals and hopefully lower your blood pressure in the process. Sierra is a freelance writer and owner of Paige One. She doesn’t have high blood pressure but knows how to treat it if she ever does have it! I don’t know if you have tried turning down an offer as a blogger but I do many times. I have received quite a lot of message about guest posting. I feel giddy as soon as I read the message. Who doesn’t want to earn more anyway? But what will you do if the offer is for free? I somehow know that a blogger is usually paid monetarily or accept any products in exchange of a post with links. So when someone offered me to publish her/his post in my blog for FREE I immediately turn it down. I mean why post an article with links for free when you are actually paid for it? For me, it’s unfair but of course we have different opinions. Another offer is a blog post in exchange of a product. The offer is tempting as the product is from outside the country (imported) but then I remember a fellow bloggers who had problem getting their stuff from Bureau of Customs. They need to pay a certain amount to get the package although it was a donation for the typhoon victim. But before I turn down the offer I ask fellow blogger is they have previously worked with the company. I also ask if the product is good but to my surprised they also turned down the offer and others just ignored the message. Well, I don’t think the Customs will collect money for the package for I am to choose one item only, if I accepted the offer. Of course receiving products for free is amazing. It is up to blogger whether to accept the offer or turn it down. How about you, have you tried turning down an offer as a blogger? Thanksgiving will be here before you know it and the house will certainly be bustling with guests. Due to all of the activity all of the energy is sure to tire you out! Instead of feeling completely overwhelmed and stressed out during Thanksgiving it’s time to take a deep breath and look forward to the holidays. If you have the right elements in your home that will help you relax, everything will run smoothly and you’ll feel peaceful and ready to tackle whatever comes your way. Aquariums for a Calming Distraction – If you don’t already have an aquarium in your kitchen area or dining room this is a great element to add to a calming distraction that your entire family will enjoy. Incorporate a Fluval Chi aquarium that’s peaceful with its soothing elements and enticing appearance. When you’re busy cooking away prior to Thanksgiving or even on Thanksgiving day glancing or taking a break and looking at the fish in the aquarium will allow you to have a peaceful moment to yourself. A Library as a Peaceful Retreat – If you don’t have enough space in your home for a library that’s quite all right, but what about adding your own library in a bedroom or converting a walk-in closet into a library space? Invest in a sturdy bookcase that will hold all of your favorite treasures and when things get crazy inside your house take a break and retreat at your new library space. You can take some time out to read a chapter for one of your favorite books or sit and relax for a while until you’re ready to carry up and prepare for company. Light a Fireplace in a Comfy Living Room – Since Thanksgiving is well on its way why not light up a fire in your living room? Not only will it be a warm place where your guests can catch up with one another, but it will be a nice place for you to sit and relax near by as well. Sit down on a comfy sofa and enjoy the blazing warm fire – it will soothe you and warm you up when you’ve been cooking up a storm for Thanksgiving dinner! Sierra is a freelance writer and owner of Paige One. She loves the holidays but thinks it is important to take some time to relax as well! I should be in my bed as of this typing. I am a little tipsy and, well, a bit sleepy as well but I couldn’t just hit my bed as I have some errands to do online. I hope I can stay a little longer as I don’t want to run out of time tomorrow morning. On weekdays I am actually busy in the morning, checking e-mails and preparing the little one in going to school is an actual scenario. On the other hand, I finally publish the two posts I got from a direct advertiser. I could not stop myself from smiling and thanking the Provider for all the blessing he bestowed upon me. I do have a lot of plan for the next couple of months and I do hope that blessings continue to pour at my end for me to materialize my plan for next year. Before, beautifying our home is my priority but after a lot of thinking I figured saving is more important. I have spent quite a lot of money in beautifying our home so I guess it’s high time I put more effort on my son’s future. It is not just humans that suffer from arthritis and painful joints, dogs can too. The problem is they can’t tell you outright if they are suffering so it is important to know the basics about how to spot it initially and how to treat it in order to reduce discomfort for your beloved pet. 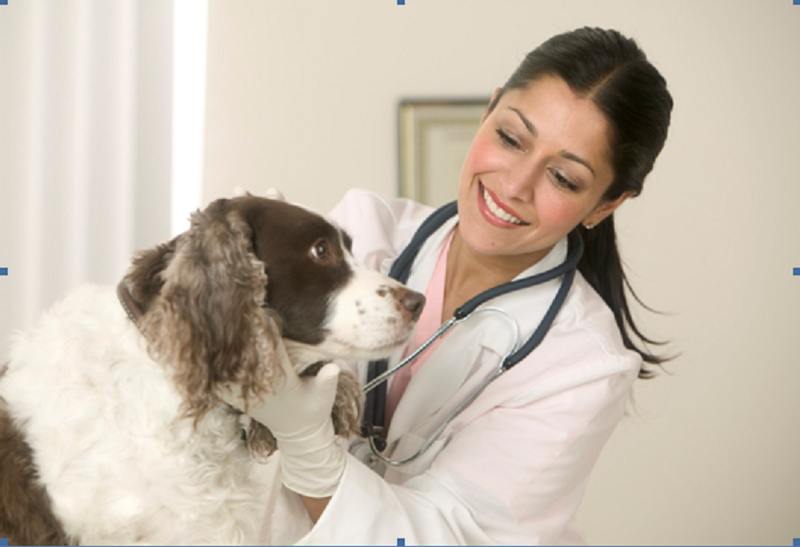 It is advisable to immediately consult your pet’s veterinarian if you notice these changes in your dog, whether it is one or five, who may offer one of the following medications. Rimadyl is used to control pain and inflammation from conditions such as arthritis and is also used after surgery. By controlling the hormones and enzymes that lead to discomfort and used once a day, it is also used osteoarthritis (degenerative joint disease). Alternatively, Carprieve is also available. It is very similar to the others on the market so it really comes down to personal preference when choosing the right product for your dog. Carprieve is administered as either small, white, unflavoured tablets or larger, flavoured and palatable, chewable tablets. Another brand that is just as good as the rest is Trocoxil. The difference with this is that a gap of 14 days is given between the first and second doses and then further doses are just given once a month with your dog’s daily meal. Chewable tablets means they can be surreptitiously placed into the food and it can provide better pain relief than occurs with daily dosage treatments because of the more consistent anti-inflammatory effect. Haist, I am having difficulty copying a photo from msword to my blog. Been trying doing for more than an hour now looking around on how I can edit it and save it in another file. When successfully pasted the photo on my post I cannot view it when I publish my blog post. I do hope I can do something about it. This is indeed a real test on how far I can go when it comes to blogging. On the lighter no lighter note, the weather is gloomy and it’s making me stay in bed but I need to prepare the little one in going to school and I have online things to do. But I will surely stay in bed later today. Just recently I have been randomly surfing the net mostly checking online stores where I can find stuff that I find interesting. I figured online shopping will help me save some especially if I avail of the free shipping promo just like what happened last week when I bought something from one of the leading online store in the country. As browse from one site to another I found this simple yet elegant small bistro table from thegardengates. I don’t have any plan of buying a table like this but if I happen to need one in the future I will make sure to have this kind of table in my garden or terrace. I figure, I need to make another facebook accont for personal used. I used my current active account syndicating my blogs and often times my wall is full of my blog post feed and other blogging stuff. It’s not that I am complaining but I just want to have another personal account like other blogger do. Apart from making another personal facebook account I will be deleting my supposed to be blogging facebook account that didn’t materialized. Changing mind from time to time is what girl’s normally do and I am not exempted in this attitude. On the other hand, it’s Monday and I am kinda expecting to receive something today. I am really excited to see and try what I’ve bought online last week. I have started buying the things in my Christmas list from my online earning. How I wish I can buy something for the little one but I worry about the size, I might choose something that is too big or too small for the little one’s size. But unfortunately it is often neglected by some people especially those people who are too busy working. Other just doesn’t care about their health. I admit I am one of those people who are busy working. I am a single parent and a blogger. As a blogger, there are times that I more want to do my thing online at nights for a simple reason that I have greater chances of doing my work successfully. So don’t be surprised if you will hear me ranting about being sleepy early in the morning. As a mother/father I need to be ready when my son needs my attention so even if I want to rest I will get up and attend my son’s need. With this, I am prone to illness such as allergy, asthma and headache. Well, I figured, not having enough rest and stress makes me sick for few days just like now. I have been sick for days. Since not having enough sleep and stress is unavoidable I should take a supplement that will help boost my immune system like Conzace. It has been said that weak immune system is caused by week white blood cells. Taking Vitamin C has been the common practice in boosting immunity but is not enough as our body’s soldiers the white blood cells and need to be constantly replenished. Vitamin C develops or matures white blood cells. Zinc plays a more primary role in the production of white blood cells. So matter how much Vitamin C you take, it will play that same role also because our body can absorb and use only up to 200mg of Vitamin C. Any more than that is urinated – that’s expensive urine. Taking 500mg of Vitamin C is enough to ensure that we’re able to absorb just what we need. You may ask, why Conzace? 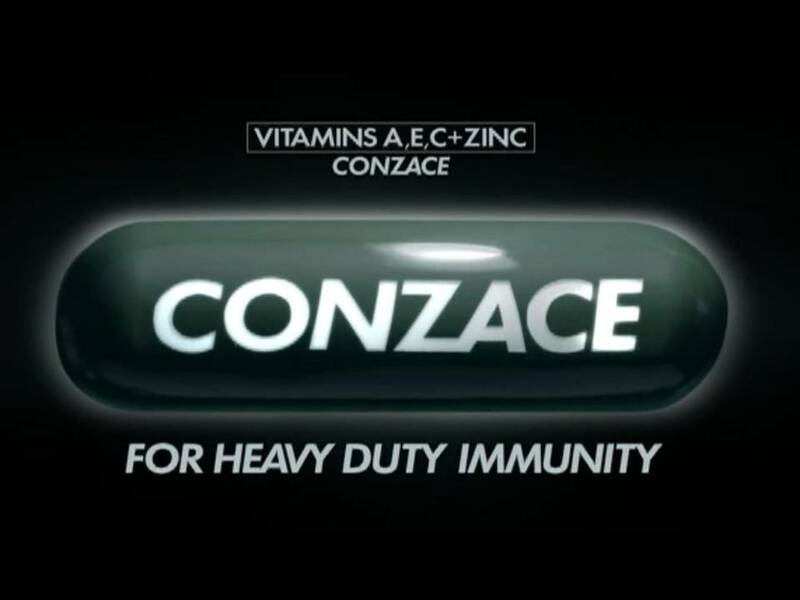 Conzace has a formula to make stronger white blood cells which means stronger immunity. It has Vitamin C develops white blood cells (500mg) Vitamins A & E intensify the protection of these white blood cells (100 IU of Vitamin E) and Zinc multiplies white blood cells so that we can have the right number of white cells to defend us against sickness. Conzace has higher Zinc than other popular vitamins in the Phils. (25mg Zinc). Try Conzace in the morning or night. Those who take it at night have said that they experience the benefit of having a good sleep. But don’t take Conzace on an empty stomach taking it even 2 hours after eating is alright though. The suggested retail price (SRP) of a Conzace soft gel capsule is P12.40. It’s available in Mercury, Watson’s and other drugstores. You can visit their Facebook page at www.facebook.com/conzace to know more the benefits of Conzace. Its few minutes passed five in the morning when I wake up. It’s a cold morning and because it is raining outside it became colder. I’d like to say longer on bed to cuddle with my pillow and blanket but I could not back to sleep so here I am doing my thing online. I still have to do a task today in exchange of multi-vitamins. For the past couple of weeks I have been receiving sample products in exchange of an honest review. The good thing of being a blogger you’re not just earning you can also save. I do hope blessing continue to pour at my side and to all of us. It few minutes passed eight o’clock in the evening here at my end but I am sleepy, already. I didn’t take a nap this afternoon because of the hot weather. I could not sleep well without the fan. We had a long power interruption that is why. So even if I want to stay longer and do today’s backlog I cannot stay longer. I will be talking to the boyfriend in few hours so I might continue what I need to do after. For now, allow this sleepy blogger to take a nap.. If money is not a problem, one thing that I want to do is get my own place a place that I can call my own and start realizing my dream with the little one. But unfortunately I am not rich and I don’t have steady income having a place of my own won’t be happening soon. Talking about moving, if you are planning to move to a new home you should be reminded that moving can be a daunting task. You have to consider some important factors such as the place, the location, and the house itself. If you are moving just because you want a bigger house then think again. Ask yourself if you’re ready to move. Does new house you are moving fits your needs and budget. It is near to your work and other important establishment such as school, hospital, market and establishment? If the answer to most of your question is “yes” then perhaps you’re ready to move in. If the new house is a far from your recent residence then you should consider hiring moving company like demenagement longue distance montreal, more if you are living around Canada. They will help your moving stress-free and peaceful. So, why make your moving hard and tiring when you can actually have worry-free moving. The mighty Google had its latest update few days ago. Updates usually happen every three months, for few updates I am one of the lucky bloggers to maintain my blogs PR (pagerank). If you are monetizing your blog then you should work hard to gain traffic and pagerank as it is one of the advertiser’s requirements. The higher the pagerank and good traffic the greater chances of earning good online. Anyway, I am glad that this blog and my other blogs maintain its pagerank and my other blog Celebrate Life increase it’s PR, from PR2 to PR3. Well, as I mentioned in my previous post I am working hard to increase the traffic of all my blogs and so far I am doing good. How about you? Did Mr. Google made you smile or disappoint you? Moving to one place to another can be daunting most especially if you will do the packing and unpacking your belongings. There are some reasons why a person or a family opts to move to another place. It can be because their works required them to move to another place. Or it is because they think moving to another place would mean a better and greener future. Or you simply move because you don’t have any choice but to look for another place to stay in. Whatever your reasons on moving it would be better if you find someone or a company that will help your moving hassle free and safe. Of course there are lots of moving company ready to help you move your belongings and promises to deliver your things safe and on time. But, are these companies legit to move your things? Are they true to their promise? Regret comes behind, and, to avoid regrets you should choose a company that builds a good reputation over the year aside from offering professional moving services. If you or you know someone who is in a lookout of moving company ottawa, you can visit Bye Bye Moving. It’s not a problem whether it’s a large move or a small one they will make your moving a good experience. Each blogger aims to have good blogging traffic, thus having a lower alexa rank and pagerank of at least PR1. It may not be easy to achieve as it needs a lot of time and effort but at the end of the day we can smile knowing that we attract fellow bloggers to visit our sites. Like other blogger, I also aim to lower the alexa rank of this blog in the next coming months. I recently joined a group that aim to help each blogger improve alexa ranks. I have been religiously visiting the participants for two days. I only hope I will achieve the fruit of my labor and see my alexa rank going down. As of this typing the rank of this blog is 2,263,282. As we all know, the lower the number the better. Let’s see if I can make it to 1 million in a month or so..
Aside from this blog I also need to work on the traffic of my other blog. The Alexa rank of my two domain blog is quite good so I want to focus on this blog and my other blog. Few days ago, a DA’s contacted me to publish his post here. I smiled from ear to ear upon seeing his offer. Why not? It is quite a big payout compared to other direct advisers that I’ve work with. The adviser would like to publish three posts here. I have posted the first one and I got the payment, already. Two more post are coming my way this coming week as he promised. It’s a big help for me to attain the amount I need for the coming holiday. I have lots of godchildren, you know. I only hope I will get the balance I have in another paying site. Part of the amount I have in this site is intended for my son’s saving, I got an e-mail from someone that the balance from the old site will be send out by chunk. I could only pray and wish that I will have the whole amount before the end of the year. But in fairness to the new site I more like their payment system, it’s quick. I already got the payment for the latest post I did for them. When laziness kicks in I usually end up browsing randomly. Most often than not I am checking online stores checking clearance sale. Just recently I came across this site that offer wide variety of watches for men and women. I find affordable ladies michael kors watch that is perfect for my budget. While browsing the site, I remember watches are nice gift ideas this coming holiday. So, if you’re having a hard time thinking of something to give to your loved ones then perhaps consider watches in your list. Haist, the laziness in me is kicking in. I do have few tasks to work on and I haven’t finish putting up our Christmas décor. I also need to clean my room as there are lots of clutters anywhere, too many things to do when I am not in the mood to do anything and when I just want to be lazy and stay in bed. Well, I can still do something and make this day a productive one although I am lazy. I shall fight the urge to stay in bed. Oh! Rain drops are starting to fall while I am typing this blog post. On the other hand, you may notice that I have removed the entrecard widget in the sidebar. I followed the advice of a fellow blogger. Now, I am in a lookout how can I boost the traffic of my blogs. When most people think of debt they usually think it’s that person’s fault for getting into debt in the first place – either through overzealous spending or not looking into the fine print as closely as they should have. However, although this is true in most circumstances, it is possible to get into debt through bad luck and bad timing; both of which cannot be helped. Everything could be completely fine one day, and then suddenly your dishwasher breaks, and the repairs are almost as expensive as buying a new one. The next day, something else happens, maybe a window is broken, or your car breaks down. Suddenly you find yourself spending more than you’re earning, all in such a short space of time. None of these expenditures are your fault, of course, but you’re now in a position of debt. You might have to borrow money to pay for the repairs, and soon the payments on your loan are starting to build up. What can you do? The best course of action might simply to get a little advice. Most debt management companies offer impartial debt advice that could be the difference between making it or sinking under the pressure. Sometimes a qualified expert on the matter is all that’s needed to point out a few tips on making your repayments hurt a little less. If you have repayments going to different creditors, perhaps a debt management plan would be the best course of action. Companies like ‘Clear Start’ can offer a completely free management plan that consolidates all of your debt into easy payments (one a month). Most people with debts between £3,000 and £10,000 qualify for a management plan, and may find that payments become a lot easier, and a lot simpler, with one set in place. If your debts are above £10,000, thus a lot more serious, then you may qualify for an IVA. An IVA acts in a similar way to the management plan, in that it consolidates all of your debts into one, and makes the repayments easy and affordable. It also ensures that any debt you can’t pay gets written off, and that creditors can’t hassle you for payments. I don’t know if you’ve noticed the entrecard error but I do for quite sometimes now. At first I thought it was just an error but I’ve noticed it been a while since the error message started to show up on my sidebar so I guess the site will be down forever. I tried opening the entrecard site but I always end up getting a message error. There is no doubt that entrecard helped a lot of blogger like me to boost the traffic of our blog. But for some reason the site seems not to value there user as they shutdown their site without any notice to the user. They should have sent a message few weeks before they close the site. I am also a use of adgitize and I salute them for they send out notice a month before they close their site. But anyway, there are other means on how building a good traffic, although it entail a lot of work I am willing to do it for the sake of having a good traffic. I could only hope that I can find another site that will help me boost my blog statistic. How about you? What do you do to gain more readers and visitors? With what has happened to the economy a few years ago, I am certain business owners are cost cutting in order to avoid hefty expenses. Thus, being cautious in purchasing and maintaining all the machines that are being used in running their business is imperative. One approach to take in order to do this is to make sure that the machines will last longer through proper maintenance. Cleaning the machines regularly will certainly make them last longer. However, cleaning the machines is not a simple undertaking, as you need to use the proper equipment to ensure that it is done well. You may be wondering what cleaning equipment I am talking about. Well, I am talking about dry ice blasting, an innovation that makes the cleaning of your machines quick and easy. It is also ideal for removing finishings such as adhesives, oil, grease, varnish, coal dust, and much more. And, one more thing, you don’t need to shut down the operation of your company for a long time while your machines are being cleaned, because the cleaning procedure won’t take long. If you’re thinking about locating the cleaning equipment I am talking about, then fret no more, as finding dry ice blasting equipment for sale is very easy. Ice Tech aims to deliver the best solutions and product designs for your cleaning problems whether it be for machines or finishing. The products they are offering will help their customers meet their expectations without spending too much. I also believe that dry ice blasting is a low cost maintenance solution for your machines since it uses crushed ice to make it work. If you own a bakery or a printing press, you must consider getting an ice machine cleaner. To learn more about what other kinds of equipment you should have I advise you to visit Ice Tech or call them on the numbers that can be found at their webpage. So what are you waiting for? Shop now!! !